In a medium bowl or glass jar, combine all ingredients really well; season with additional salt and pepper (if needed). Store in the refrigerator until ready to use. 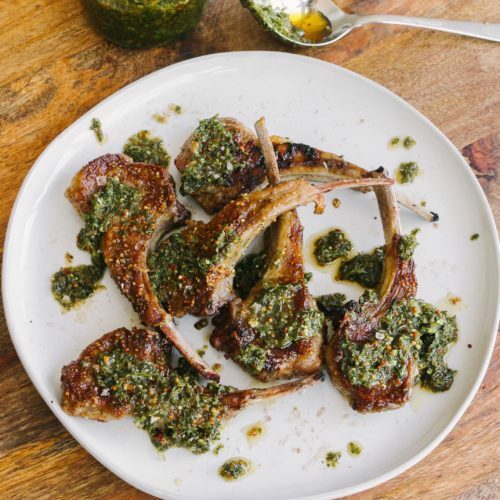 In a small bowl, combine mustard, honey, salt + pepper; brush sauce all over the chops. Preheat a large cast-iron skillet over medium–high heat for 5 minutes. Add grapeseed oil and swirl around pan. Place the chops in pan and sear 4 minutes per side or until lamb reaches desired doneness (for medium-rare,135°; medium, 140°; medium-well, 145°). 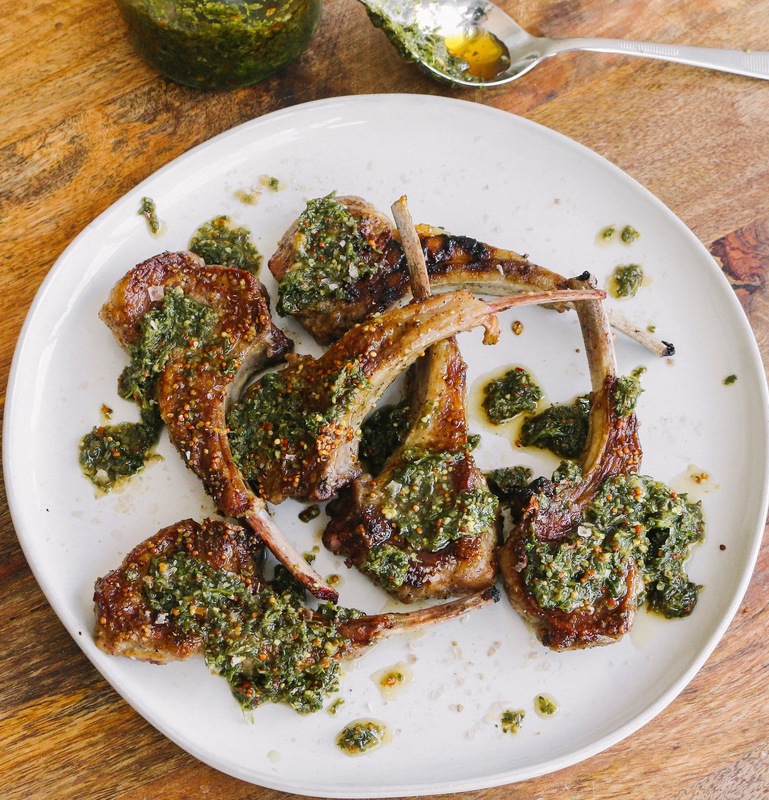 Serve with chimi-verde sauce and enjoy!